Drive about eight scenic miles southwest of Washington Square and look for that iconic big red barn, the site of the family-owned business called Oregon Heritage Farms. This apple orchard has been successfully running for over 25 years, complete with a seasonal farm direct store with the best apples, cider, and fresh local produce seasonally. Though the store is only open from the end of August through mid-November, the farm itself is busy year-round with horticultural happenings and great family fun! During the month of October, the weekends are filled with fun fall festivities, a popular local favorite being the Annual Applefest on the second Saturday of the month. Once here your group will have the option of taking any customized tours (as long as you reserved it ahead of time), each chock-full of important horticultural, small-business, and marketing information for your group to learn. You will see the ten different varieties of apples, from Gravenstein to Melrose and every delicious Fuji and Granny Smith in between, as well as locally grown seasonal produce. If your group is comprised of younger students you will delight in the opportunity to participate in any of the fun children’s activities, from 15-minute orchard hayrides to the apple rope mazes. Each tour comes with samples of apples and cider, and if your group has older students you will have the opportunity to continue your tour at the packing facility. 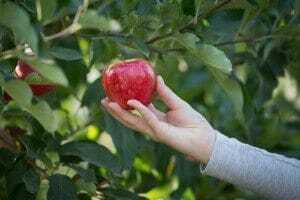 Here your group will see the process of harvesting these delicious apples, from the farm to the grocery store shelves. See the Zucal apple pickers do their work before the apples are cooled, sized, and sorted, then head over to the gift store for some local country crafts and gifts!